Yay! 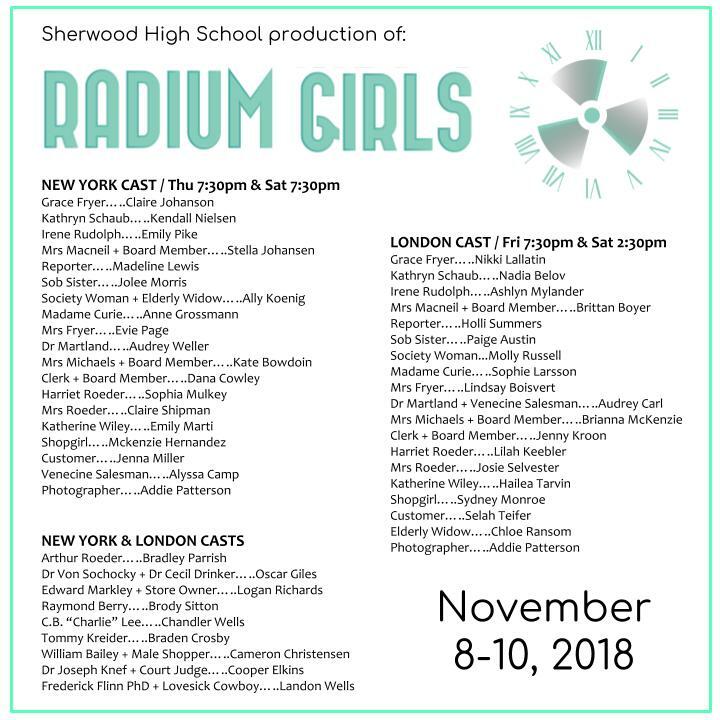 Here is the final cast list for Radium Girls. This is going to be an incredible play that highlights a dark part of our American history. 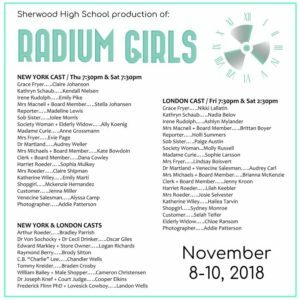 We feel honored to be able to tell the story of the amazing women known as the Radium Girls.